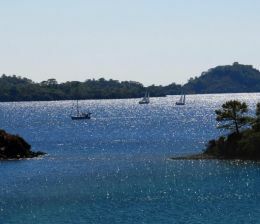 Yacht broker yachting as leading yachts for sale and yachts charter brokers in Turkey are ready, willing and able to serve you with sailing yachts for sale department, from a small live aboard to large megayacht for sale. 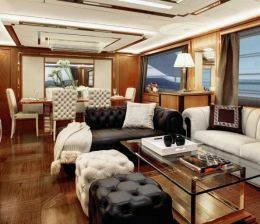 We will make sure that you and your loved ones will be enjoying the most suitable yacht for sale. Our motto is to leave you in peace but not alone. One of the most important issue is where and which boatyard has built the yacht and gulet, which performs better, that is why we recommend you to carry out an extensive yachts for sale and expertise before buying, together with an independent yacht surveyor. İt is also crucial to know where the yacht has been used, the waters in which she has navigated in order to decide if she has been subject to constant severe weather conditions. You need to check Engine hours and if necessary measure the engine compressions to verify the conditions of the main and auxiliary engines as well as pumps and air conditioning systems. We are interested in luxury yachts for sale, catamarans, gulets, and others that are all included in our portfolio that has hundreds of vessels among them you might choose one yacht for sale. We are rofessional brokers who have been captains and yacht builders then yacht for sale brokers. We can help you buy your yacht that you desire to own maybe with your own preferences. We will let you meet our naval engineers to explain your ideas about the yacht that you intend to build very soon in Turkey. We recommend that you pay us a visit so that we can accompany you to the boatyard where your yacht building is about to start very soon. Second hand yacht for sale are also promoted on our part! Some owners decided to sell their gulets and got bigger one. Others turned to another business and their yachts’ current condition is quite excellent! They are keel and seaworthy!! Moreover, when certain, you can have a free trial on board to see how it performs at the sea!!! We can receive your phone calls and your emails that you can take from our yacht for sale contact page. Our captains will respond to your inquiries once received and get back to you with the satisfying answers related to your luxury gulet for sale. Our captains can communicate with you in Spanish, English, French, Russian, and Turkish.